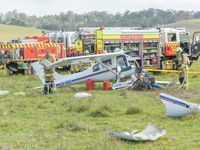 THE STRENGTH of the Australian-designed Jabiru 230 could have save the pilot and passenger in a plane that crash at South Grafton says Grafton Aero Club president Kevin Wilson. 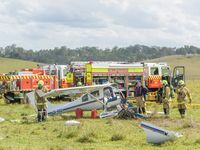 Mr Wilson, who attended the crash scene as the emergency services arrived., said the couple could thank the design of their plane, a Jabiru 230, for escaping the crash largely unhurt. "Both the pilot and the passenger were out and walking about by the time the ambulance arrived at the crash site," he said. Mr Wilson commented on the safety reputation of the crashed aircraft. 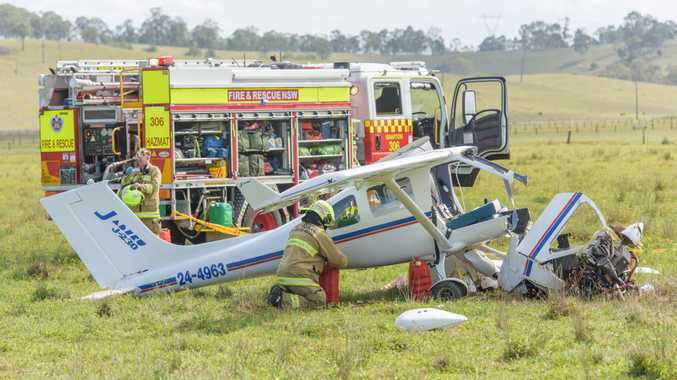 "The Jabiru 230 is renowned for it's high level of occupant protection," he said. "Accident investigations into those aircraft remark on the high number of people who are able to walk away from crashes. "It's a design feature that the impact of a crash is taken away from the passengers, underneath the aircraft." Mr Wilson said the Jabiru company which manufacturers both aircraft and aircraft engines is the last remaining Australian aircraft manufacturer. Mr Wilson said the injured couple had been enjoyed a cup of tea with a club member in the clubhouse just before they set off. 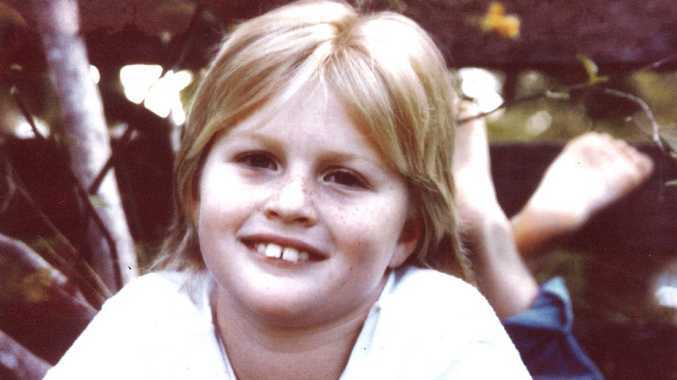 "I believe they had just come down from the Gold Coast for the day," Mr Wilson said. He could not offer any explanation for the crash. "Whether it was a mechanical problem or operator error would be pure speculation," he said. Authorities looking into the crash have yet to decide if they will proceed with a full investigation. 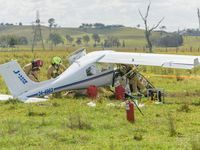 A spokesman for the Australian Air Safety Bureau said it will make a decision after it receives some more information about the crash, which occurred about 1.2km to the west of the South Grafton Aerodrome on Wednesday afternoon. He said the ATSB will look at the pilot's report and other information before deciding to proceed to a full investigation. "The crashed plane was a Recreation Australian (RA) registered aircraft," he said. "We are mostly interested in VH registered aircraft and this was an RA registration. "It depends if there are safety issues for the public whether we decide to proceed with it." The pilot of the plane received slight head injuries and was kept in Grafton Base Hospital overnight for observation, NSWHealth media said. 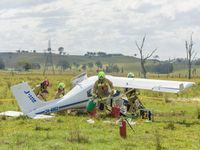 "Both he and his female passenger were taken to hospital and he was kept overnight and release this morning," said a spokeswoman for the Northern NSW Local Health District.